A Testamentary Trust can provide protection for your assets, structure for their distribution and in some cases, tax benefits. The Trust comes into effect when you pass away, but you establish the terms of it as part of your Estate Plan. DO I NEED A TESTAMENTARY TRUST? A Testamentary Trust may also give the Trustee flexibility to use their discretion as the needs of the beneficiaries change over time. In a fixed Testamentary Trust, beneficiary entitlements are clearly defined. The conditions upon which a beneficiary receives their entitlements are usually fixed for example, a spouse may continue to receive an income unless they remarry. In a discretionary Testamentary Trust, the Trustee is given greater discretion about how the income or assets are distributed. This means the Trustee can modify distributions as circumstances change. Equity Trustees has acted as Trustee for individuals and families since 1888. As a professional trustee we are bound to always act in the best interests of beneficiaries, and within the terms of the Trust. 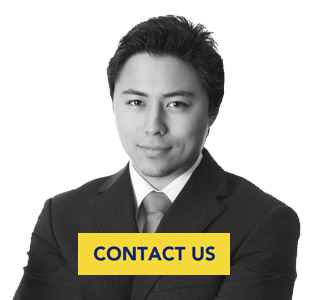 Our in-house team of solicitors, financial advisers and investment managers manage the Trust and all funds prudently. Jeff has a wife and three children aged 12, 15 and 17. When Jeff passes away he leaves an Estate valued at $1.5m which goes directly to his wife, Claire. Claire already has an income of $120,000 a year and decides to invest her inheritance. In the first year the inheritance generates a $75,000 income for Claire. As Claire already has a high income, the earnings from her inheritance are taxed at a higher rate. She pays around $30,750 in tax, depending on the current rate. That’s almost half the amount of money generated by the investment. If Jeff had established a Testamentary Trust, Claire could have distributed the $75,000 in Trust income equally between her three children. Each child would have received $25,000 income and paid only $1,428 in tax individually. Claire and her family would have retained an additional $26,466 in the first year with the assistance of a Testamentary Trust.